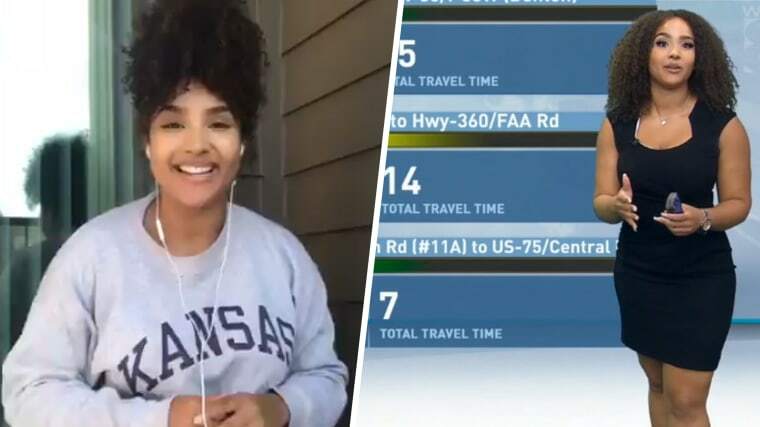 A Dallas-based traffic reporter has a message to a woman who questioned her wardrobe choices: She’s not going anywhere. Demetria Obilor has thousands of social media users supporting that stance, including Chance the Rapper. “Has anyone seen Channel 8’s new morning traffic reporter? Her name is Demetria Obilor & she’s a size 16/18 woman in a size six dress and she looks ridiculous,” Jan Shedd wrote in a public post that has since been deleted — but only after several people shared screen shots of it on Facebook and Twitter. Shedd’s post initiated an outpouring of support from Twitter users. “Jan is big mad. Don’t be like Jan,” wrote one user whose tweet was replied to by Chance the Rapper. “BIIIIIIG MAD,” the multiple Grammy winner responded. Obilor took on the controversy through a Twitter video that addressed critics who criticized her body. Her employer, WFAA, also posted the response on its website. “A quick word to those people — this is the way that I'm built. This is the way that I was born. I'm not going anywhere, so if you don't like it, you have your options,” she said before addressing the way her original critic attacked her appearance. Obilor also thanked the people who came to her defense. “Now to the people who show love. I love you right back,” she said. Thank you @DemetriaObilor for speaking out against body shaming - it's a sick part of our culture. You're absolutely gorgeous. Obilor admitted the support took her a bit by surprise. “So I'm always taken aback and forever grateful for everybody, people I don't even know, who come to my defense, stand next to me and say, ‘You know what Demetria, you don't have to put up with this.’ And I love you for that,” she said in the video.